June 22-23, 2018. The festival committee is in the process of planning another fabulous festival for the town of New Palestine’s residents, family, and friends. EVERYONE is invited to join the town on Friday, June 22nd, and Saturday, June 23rd. There will be plenty of activities and things to do for all ages! For the kids, they will have a play area complete with inflatables, sure to please any child. The play area will be enclosed and conveniently located near the music with a picnic area so you can sit and enjoy one of many food vendors. For the adults, there is still plenty to do. Do you like vintage cars? Then visit the Car Show. Also, stop by at one of the many arts and craft booths along with vendors promoting their services and products. Try something new to eat at one of the many food vendors. If you are feeling little extra adventurous, take a stroll through the Beer and Wine Garden! They are planning music for both days. Keep visiting their website, Facebook, and other social media outlets to find out more. 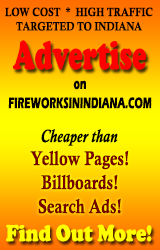 At the end of the concert, there will be a spectacular fireworks display sponsored by the Sugar Creek Township Park.